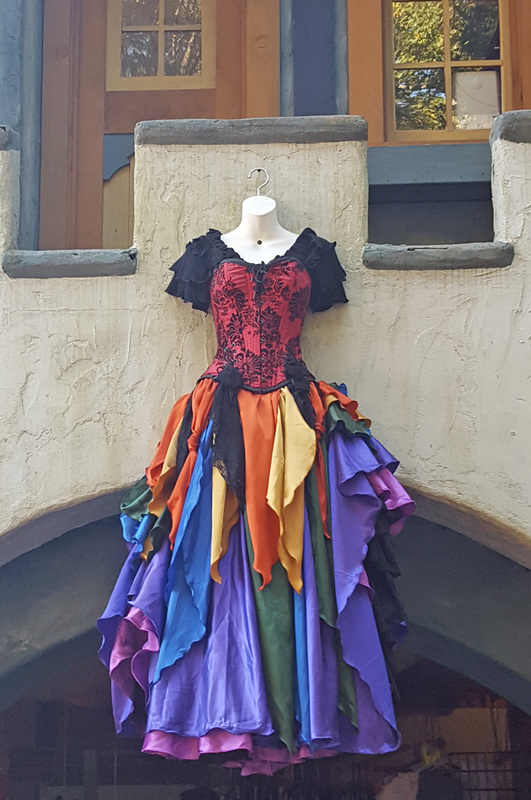 The Carolina Renaissance Festival provided tickets in exchange for this review. All opinions, thoughts, and tips are my own. My husband and I took the triplets to the Carolina Renaissance Festival a few weekends ago. We had been before with our older daughter, but the triplets were not really old enough until now. Since the triplets are all boys, I knew that they would enjoy the jousting and the knight costumes. 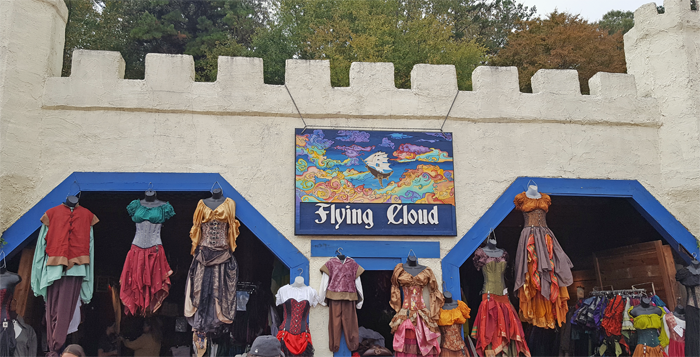 The Carolina Renaissance Festival is a day trip for us, but as we walked through the parking area we noticed license plates from all over the southeast! 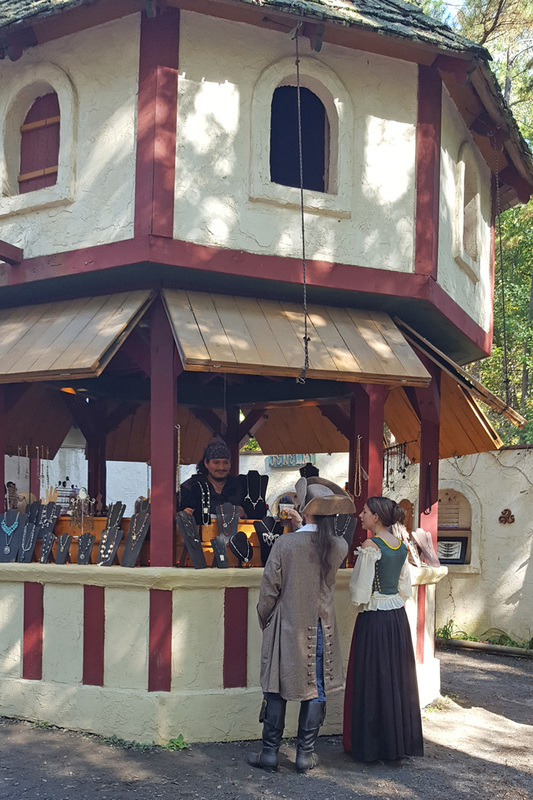 The Carolina Renaissance Festival is a popular attraction for all ages. 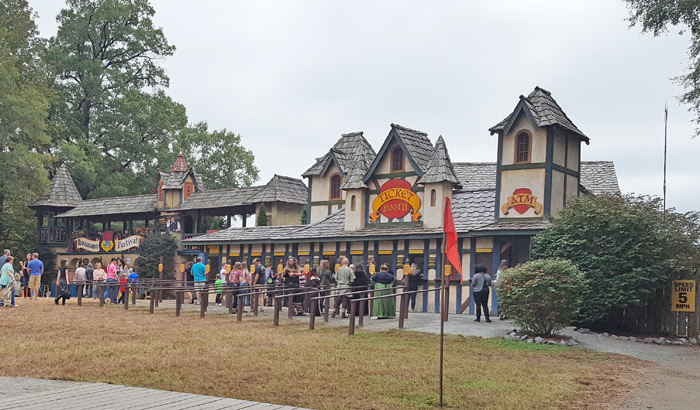 If you are heading to the Carolina Renaissance Festival as an adult couple or with older kids, it’s pretty easy to simply head over and enjoy the day. 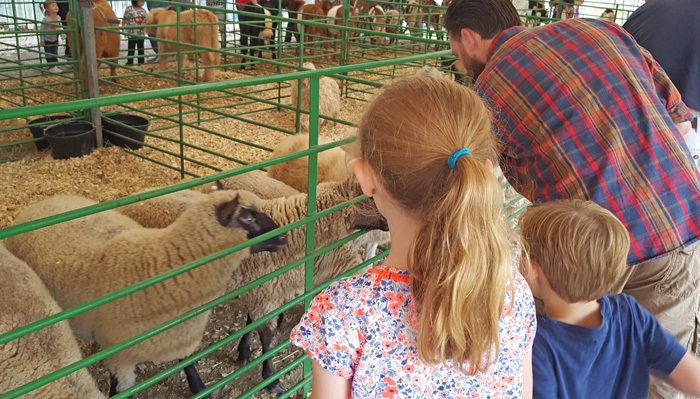 But with kids, like anything else, there are extra planning and details that go into attending the Carolina Renaissance Festival with kids. 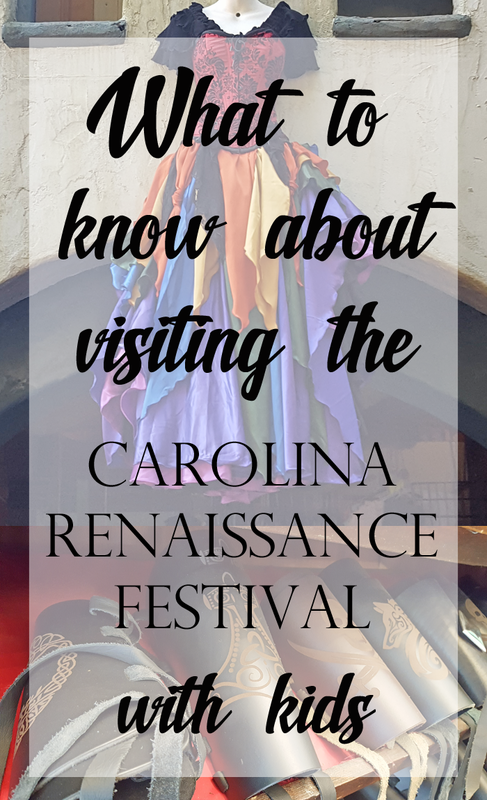 We took four kids (which included three 4 year olds), and I have a few tips and tricks on what to know about visiting the Carolina Renaissance Festival with kids. -Ticket Prices: Tickets for kids under 5 are free. There is a price for kids from 5-12. Harris Teeter (and the Carolina Renaissance Festival website) typically offers tickets at a slight discount if you pre-purchase them. -Not everything inside the Festival is free. 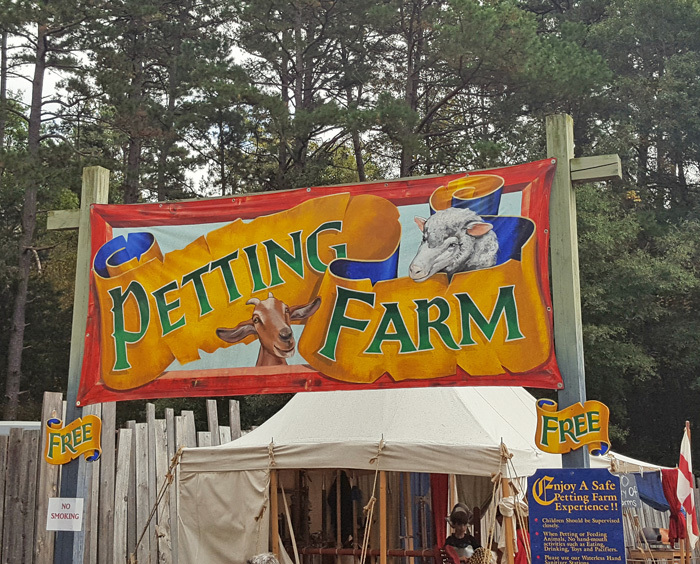 The Petting Zoo and Jousting Tournament are free, but other rides are not. The rides are not expensive (typically within the range of $1-$3), but if you have a large family this can add up quickly. We let the kids have their choice of a ride and also try out the archery. -Be sure to check the Entertainment Schedule online before you go. 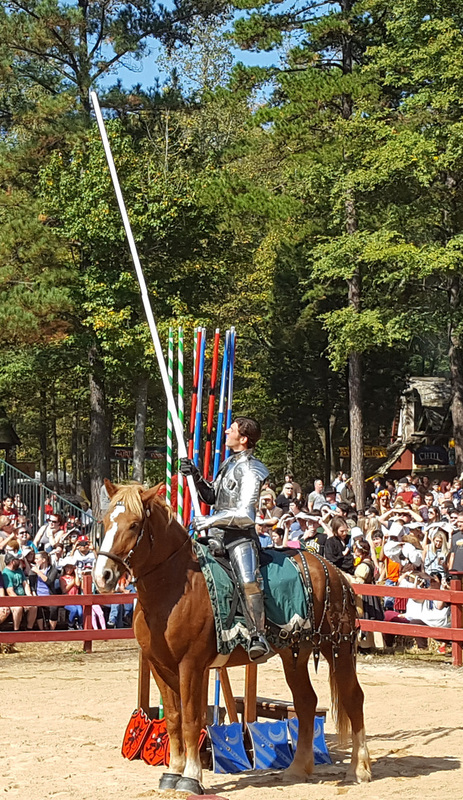 The jousting is only offered at certain times, and it is to not be missed! We also arrived at the jousting area about 30 minutes ahead of the show to be sure to get a seat. It was completely worth it, though. My boys are still talking about it (and attempting to replicate the jousting knights) weeks later. -Check the Special Event schedule online before going. I didn’t, and we arrived to realize it was BrewFest Weekend. We didn’t encounter anyone who was acting inappropriately, but the festival was definitely more crowded than it has been on weekends that we have attended in the past. -The festival does not allow outside food or beverages brought it. However, I noticed several moms with strollers and drinks/snacks for their smaller children, so I think that the festival may be flexible on this. 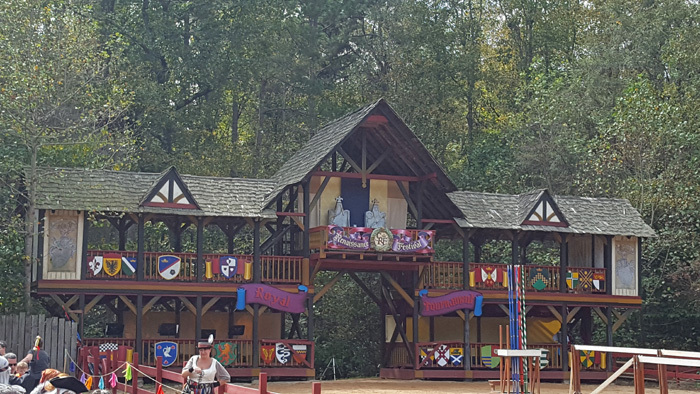 Have you ever been to the Carolina Renaissance Festival? I’ll leave you with a few more pictures below! I have never been to Renaissance Festival before. My family does like to experience new things so if the the opportunity came up we would definitely it check out. I would love to see the jousting! This past summer we went to quite a few festivals including a bacon one that I loved. These FESTS are sooo much fun! My husband and I went to one here in LA back in May and boy did we have a blast just people watching and singing along to the hysterical songs!!! We didn’t dress up, but man, I am thinking next year we kind of need to! 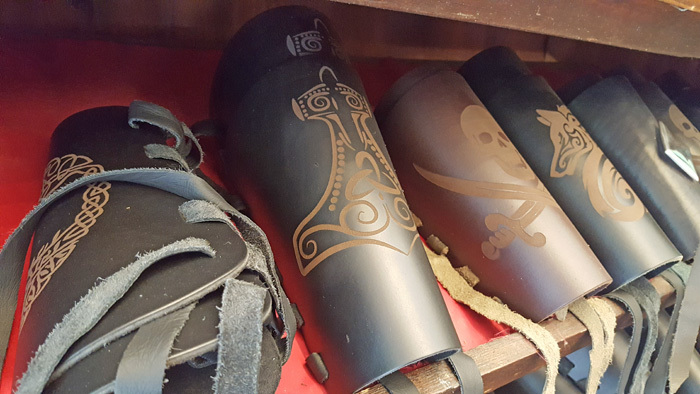 The Carolina Renaissance Festival looks like it would be a perfect family experience. The kids would have so many activities and fun shows to watch. Of course, I’d be on the lookout for a giant turkey leg! I have not been to the Carolina festival but we try to go to our local one every year. Yours looks a lot like ours does! 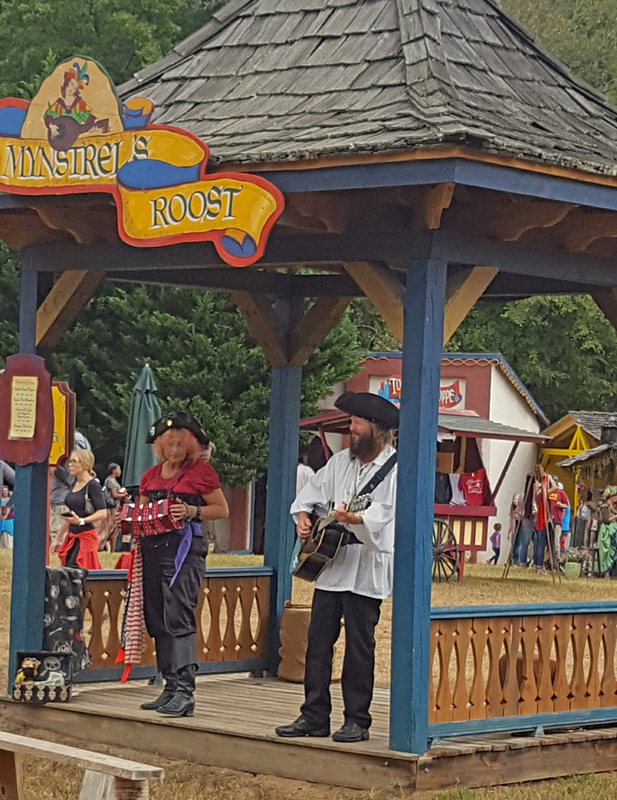 I love the feel of the renaissance festivals, the aromas in the air and I DO try to go on brew weekends lol. How fun! We have one of these in Colorado and even as a colorado native I have never been. It is on my list of places to visit with our kids. This festival looks like a ton of fun for families. My only concern with our local one is the heat, it is in the middle of summer. I love festivals like these! They are so much fun. I think my son would get a kick out of watching the joust and my daughter would love wearing a princess dress for this outing. We would love to go to this festival. We took the kids to one in Ohio and they loved it. The kids loved the jousting and other events. Plus the food was amazing. We may have to take a road trip next year. We need to go within the next three weeks to get my little one in free. He will be turning five in November. He would most enjoy the petting zoo. My older kiddos and hubby would enjoy the jousting. 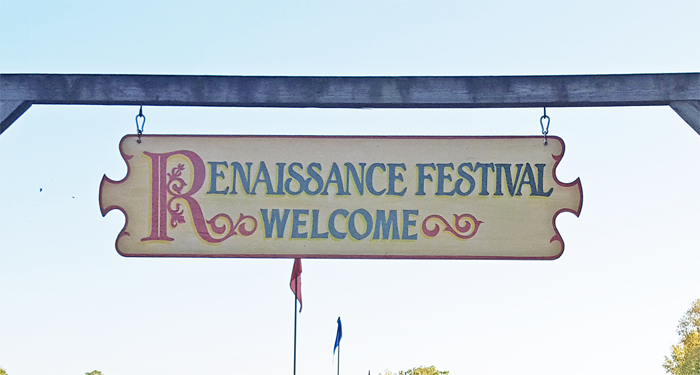 I’ve always wanted to go to a renaissance festival but have never gotten around to it! it seems like so much fun! I would love to get dressed up and play with the lovestock all day. Can’t wait to go sometime soon with the family! This looks like such a fun family activity. We have something here in North Texas called Scarborough Fair. I have not been since I was a teen, but seeing this reminds me of how fun it would be to take my family. And I love that colorful dress!! So pretty.